We Finished the Rock n Roll Denver 5K! 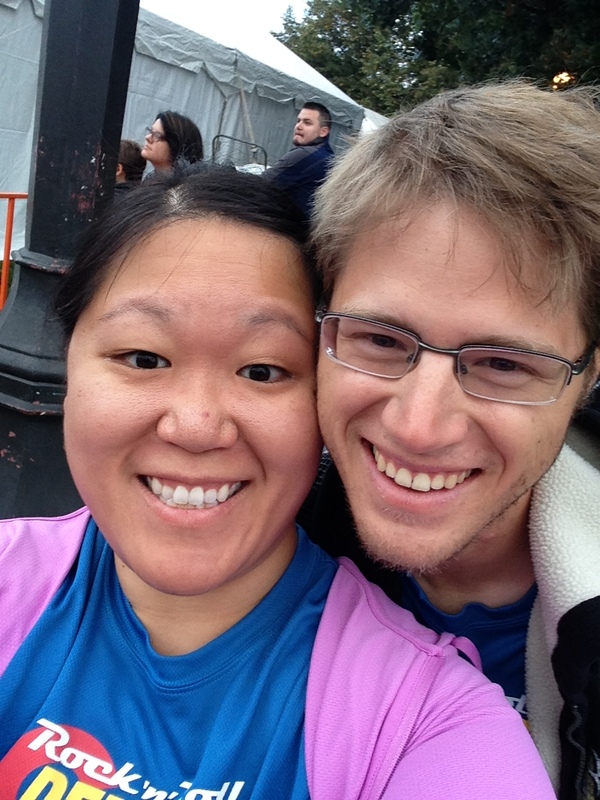 Pre-race selfie! We were ready to run, even if we were nervous! Yay! 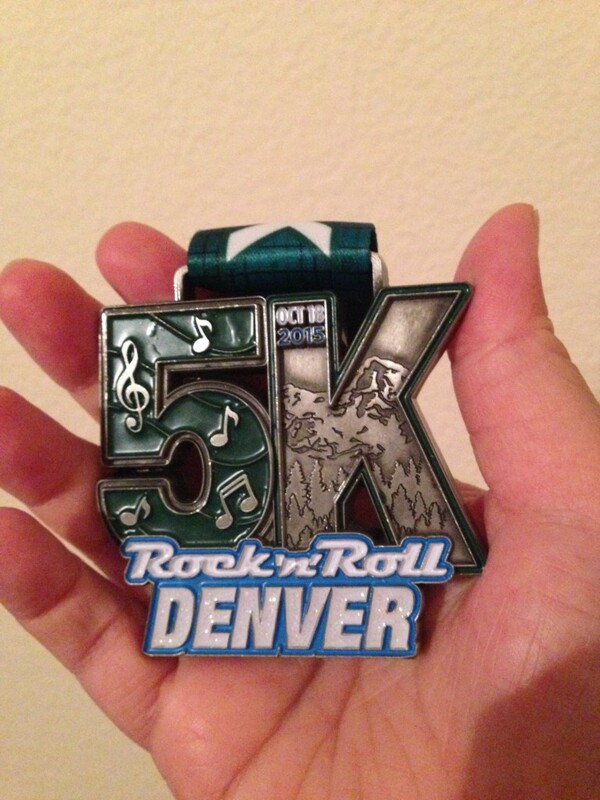 We did it: Ryan and I finished the Rock n Roll Denver 5K on Sunday and both got 46:24 as our time! Even though I know that Ryan can run a 5K in a much faster time, he stays with me to make sure that I finish. I know I would have a harder time finishing the 5K if he weren’t there to help pace me. Admittedly, we had gotten out of our running habit a couple weeks ago, so doing the 5K race on Sunday was a bit of a shocker on our systems! However, we pulled through, and somehow did a lot better on the timing than expected: before the race, we were doing roughly about two miles in about 40-50 minutes, so Sunday’s race time was definitely a PR for us. I had butterflies pre-race though: seeing all the other runners around me, I felt like I was out of place. However, I had to remind myself that we all start our running/walking journeys in different ways and at different times. Some people at Sunday’s race have probably been runners all their lives; others might have been doing a 5K/10K/Half Marathon/Full Marathon for the first time! Pretty nice medals from Rock n Roll! Overall, I am glad we finished the race and definitely hope we can find another 5K to complete next month or in December. Yay running!